Growing demand for electric vehicles and changing regulations in China may be about to cause a worldwide shortage of graphite, a key component of electrodes in lithium-ion batteries, experts have warned. Rising demand for EVs, and slowing production, could hurt graphite supplies. Investor advice firm, safehaven.com, has issued a comment suggesting that stocks in “tech-grade” graphite production are worth watching carefully over the next few years. 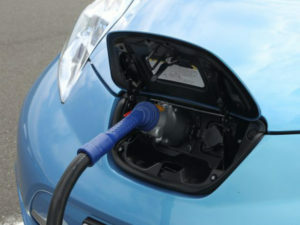 It said demand is expected to increase 200% by the end of 2020, and 300% by 2025, driven by the growth of the electric vehicle and energy storage sectors. While potential shortages of cobalt and lithium are widely reported, the company added that electric vehicle batteries require 10 to 20 times more graphite than they do lithium, quoting Tesla CEO Elon Musk as saying lithium is the “salt on the salad” in its battery electrodes. Tesla uses a nickel cathode, and graphite and silicone oxide anode. That’s only going to be exacerbated by the Chinese market. China is a large-scale supplier of the world’s graphite, but regulation changes in Beijing targeting polluting industries have curbed production and the country is now importing tech-grade graphite from elsewhere. This, it said, has contributed to a nine-fold price increase to $16,330 (£12,400) per tonne in China, and $35,000 (£26,600) per tonne across the rest of the world.